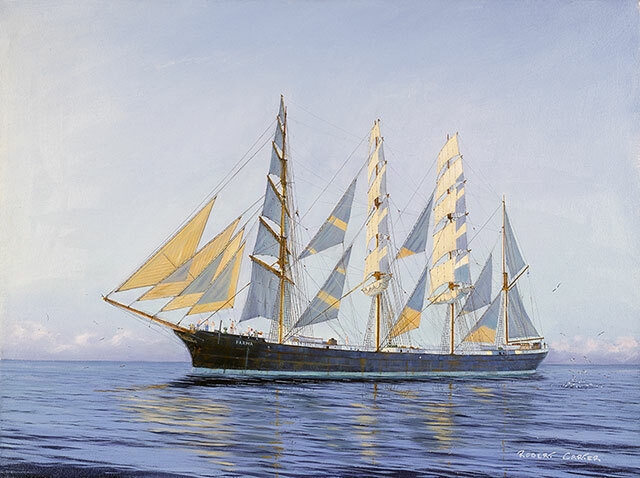 Fine marine art prints from the golden age of sail. 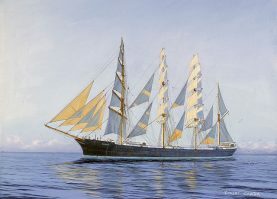 Historically accurate from research and conversations with over 400 men and women who sailed in the last commercial sailing ships. 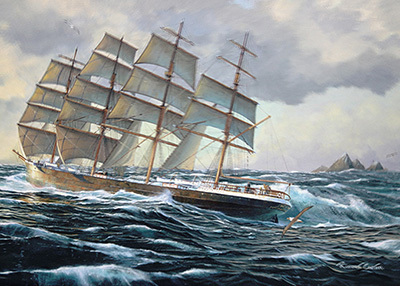 [Right] The barque White Pine makes landfall off the Grey River, New Zealand on her 76th crossing of the Tasman Sea and the end of her sailing career. Passat pushing up white caps in the trade winds. 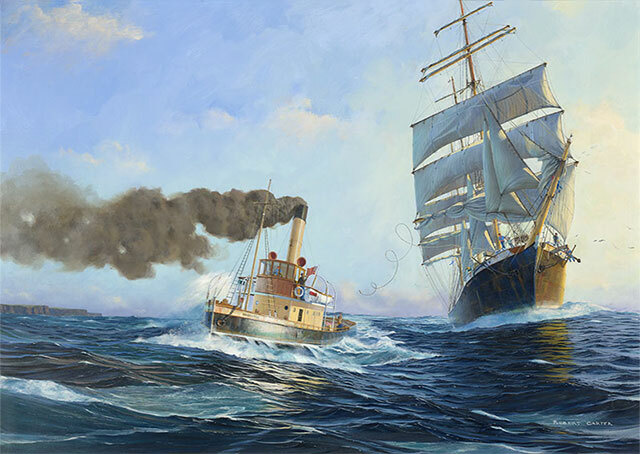 Olivebank taking a tow by tug Waratah into Sydney harbour. 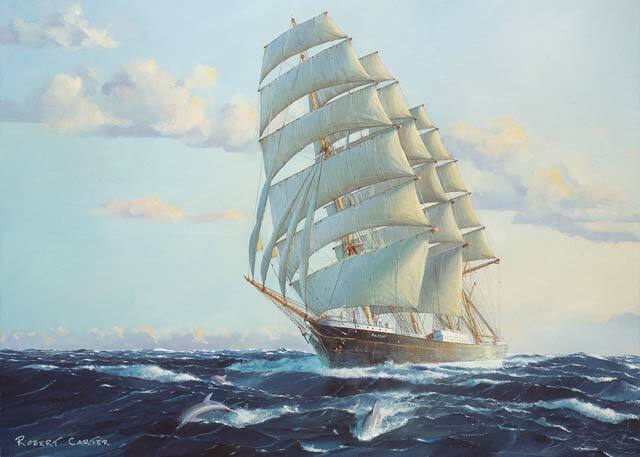 The 4 masted barque Parma in the Doldrums. Falls of Clyde is one of the few preserved museum ships. 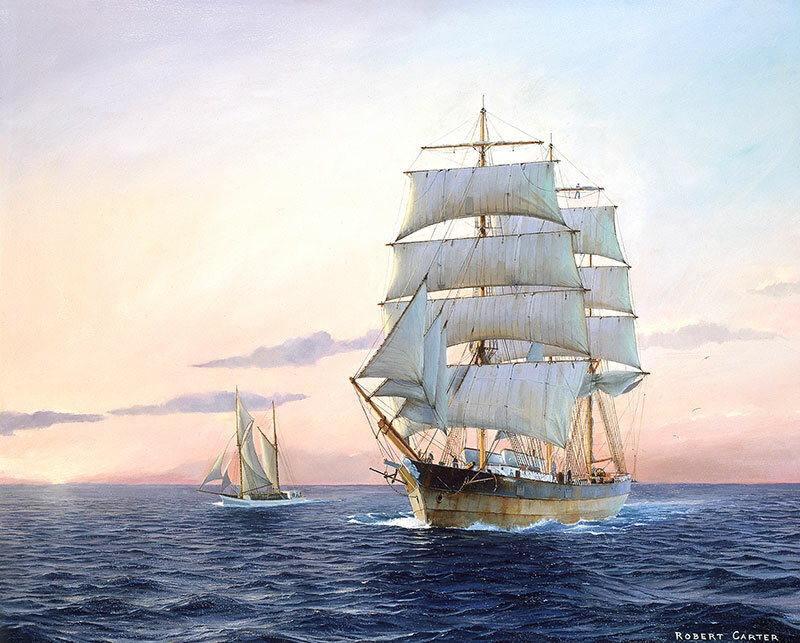 [Above] The barque White Pine makes landfall off the Grey River, New Zealand, on her 76th crossing of the Tasman Sea and the end of her sailing career. 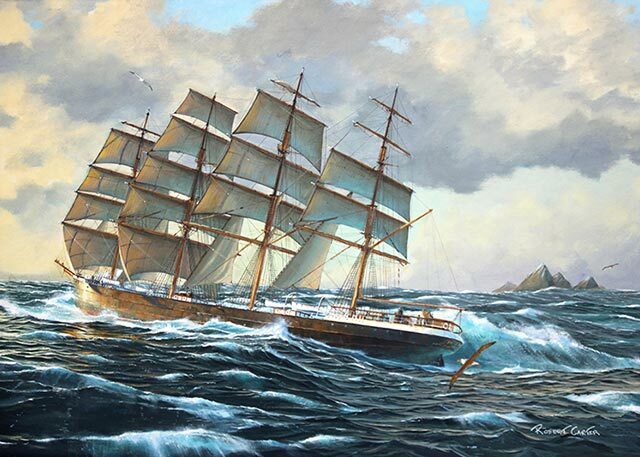 Historically accurate from research and conversations with the few remaining men (and women) who sailed in the last commercial sailing ships. Falls of Clyde is one of the few ships preserved as a museum ship.